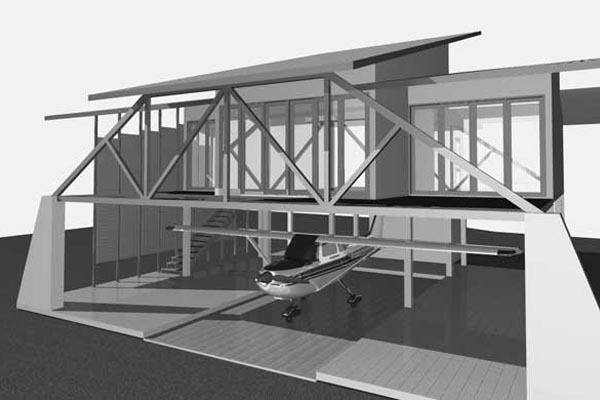 We designed this bungalow at Lanna-Airpark for a pilot and his wife. Where normally the car is parked, a light aircraft sits in a open hangar. The central living area with attached bedroom and study are upstairs, a large veranda is in front, facing south, with view over the runway. The whole building is designed to be a lightweight, steel construction with wide roof overhangs to protect walls and large glazed areas from sun and rain.